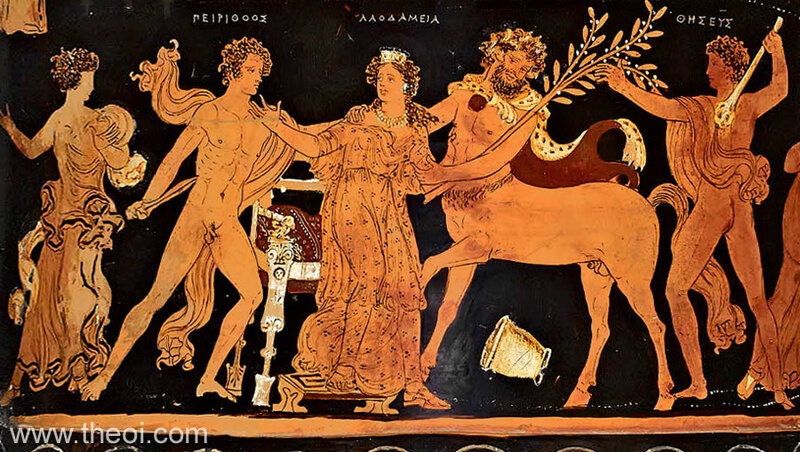 Side A1: The centaur Eurytion attempts to abduct Pirithous' bride Laodameia from the wedding feast. The half-horse centaur wears an animal-skin cape and a wreath of leaves, and holds a tree-branch in the crook of his arm. A drinking cup lies at his feet. He is flanked by the heroes Pirithous (left), armed with a sword, and Theseus (right), brandishing a club. Laodameia (who is elsewhere named Hippodameia) wears a sheer, embroidered robe, stephane crown, necklace and earrings. The centaur drags her from a cushioned chair. Side A2: The lovesick Phaedra (see other image). 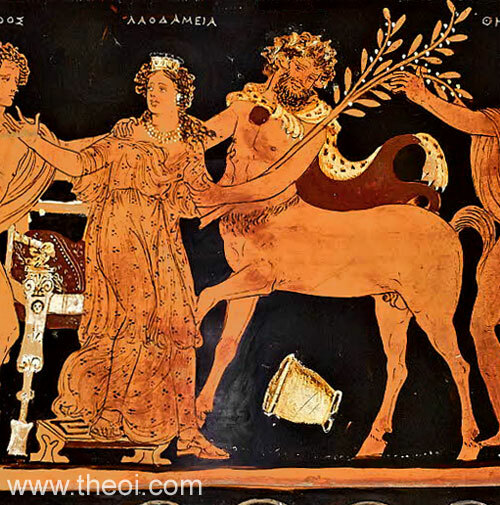 Detail of Laodameia and the Centaur Eurytion.